spelt flour, barley malt flour partly roasted, sunflower seeds, lupine grits, wheat gluten, yoghurt sourdough dried, salt, vegetable oil (rapeseed origin), emulsifier E472e, lecithin E322, calcium phosphate E341, sodium phosphate E339, enzymes (vegetable origin), ascorbic acid E300. 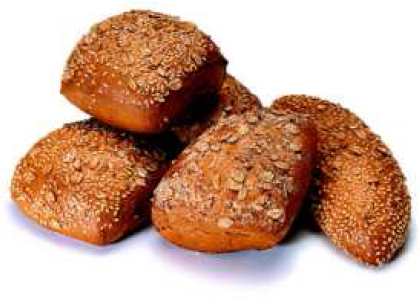 • The interesting taste of spelt wheat combined with yoghurt sourdough and sunflower seeds provide an outstanding flavour. The crust is tender, crisp and short in bite, the crumb is soft and has an appetizing golden yellow colour.